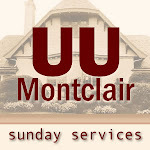 27:34 – Selections from our Sunday Morning Worship Service at The Unitarian Universalist Congregation at Montclair by Rev. Scott Sammler-Michael. 22:11 – Selections from our Sunday Morning Worship Service at The Unitarian Universalist Congregation at Montclair by Rev. Anya Sammler-Michael. 29:26 – Selections from our Sunday Morning Worship Service at The Unitarian Universalist Congregation at Montclair by Rev. Kimberly Quinn Johnson. 25:18 – Selections from our Sunday Morning Worship Service at The Unitarian Universalist Congregation at Montclair by Rev. Scott Sammler-Michael.